What youth think of domestic violence could be due to TV. By: Dijana Damjanovic for ABC. New figures show television might be contributing to unhealthy perspectives on domestic abuse. A peak body representing young people has found 60 per cent of young Australians get their information about domestic violence from general television, that is not news. 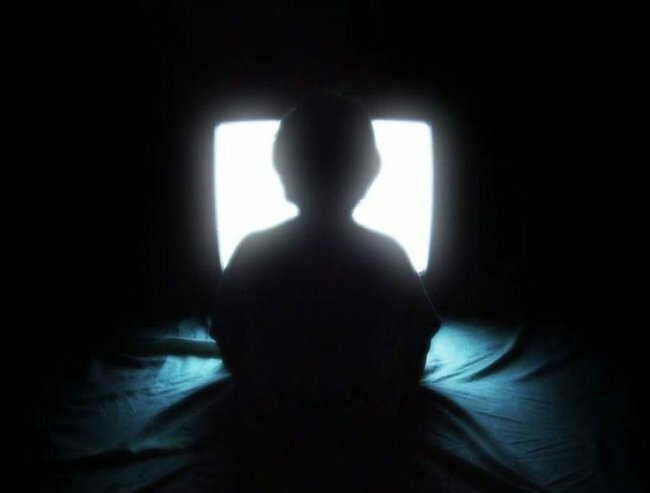 Katie Acherson from Youth Action New South Wales said television may be leading many young people in the wrong direction. “There are a lot of representations of unhealthy relationships in the media that we wouldn’t necessarily want young people to glean or look up to as healthy,” she said. The survey, conducted by White Ribbon and Youth Action, also found 75 per cent of 16 to 25 year olds know that domestic violence is common but have difficulty understanding what a normal level of conflict is in a relationship. Moo Baulch from Domestic Violence New South Wales believes a lack of education makes it hard for teens to understand what is considered normal in a partnership. "When people are having their first relationships, it can be really difficult to make a call on whether the behaviour your partner is doing or coercing you to do is domestic violence or a normal level of conflict in a relationship," she said. The survey of more than 3,000 Australians aged 16-24 has not been conducted for 15 years and also revealed that only 54 per cent of high school aged respondents got their information from schools. 14-year-old student petitions for violence prevention lessons. This year, a 14-year-old girl petitioned the New South Wales Government to teach domestic violence prevention in schools following the death of her mother. Yesterday, the Government gave teachers a new domestic violence toolkit that personal development, health and physical education teachers can incorporate in their classrooms. Ms Acherson said the toolkit is not enough. "There needs to be more training to help teachers prepare to have those difficult conversations and there&apos;s no guarantee that it will be taught and it doesn&apos;t mean that all young people are going to get the same information," she said. "What we really need, is a bigger conversation about what a healthy relationship looks like, what to do when you&apos;re in that relationship and particularly, what to do to help someone you know who is in an abusive relationship." The research also found that many young men continue to support gender stereotypes and attitudes that support violence. Twenty-five per cent of young men agreed that women like men who are in charge of a relationship, while one in six felt that men were better than women at some things. Ms Acheson said Youth Action was trying to combat sexism and misogyny in young people. "If we can work to chip away at those gender stereotypes and violence supporting attitudes, then we can hopefully make a difference," she said. "It&apos;s not up to just one part of the service systems like police, politicians and refuges to change these sorts of attitudes, it&apos;s long-term change." Ms Baulch believes there is capacity for change. "Young people are really smart; it&apos;s just that as adults we&apos;re not necessarily 100 per cent clear on what abuse looks like in a relationship," she said. "That&apos;s why there&apos;s a need for consistent messaging and models of healthy relationships out there. "Growing up in an abusive household doesn&apos;t make you an abusive person or a victim in an adult relationship but we now that there are some pretty serious impacts as well and it can be tough to find those positive role models and make those calls." "If you would like to take action against domestic violence this White Ribbon Day, please lend your support to Rosie Batty&apos;s campaign here."